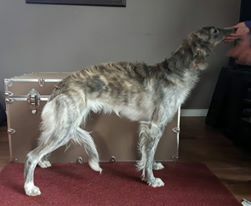 Born January 6, 2017/Née le 06 janvier 2017. 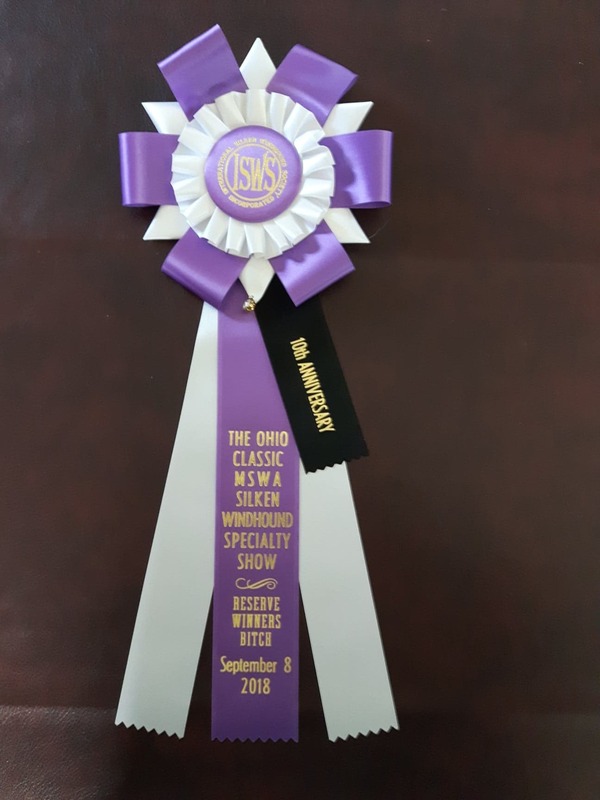 The photo is taken by Emily Buerger at the 2018 Ohio Classic held in Oberlin, Ohio last September 7 & 8, 2018. 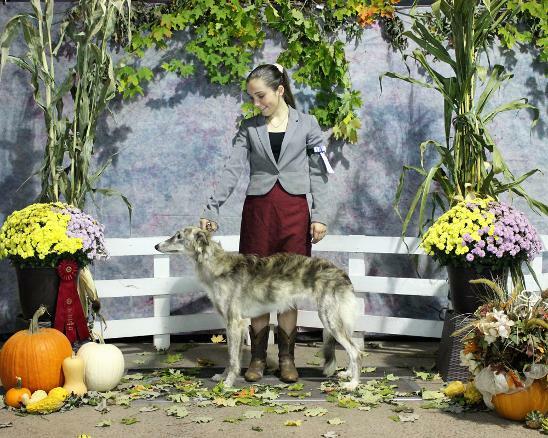 Our girl, Selene wins reserve winner's bicth under judge Janet Littell Adam. 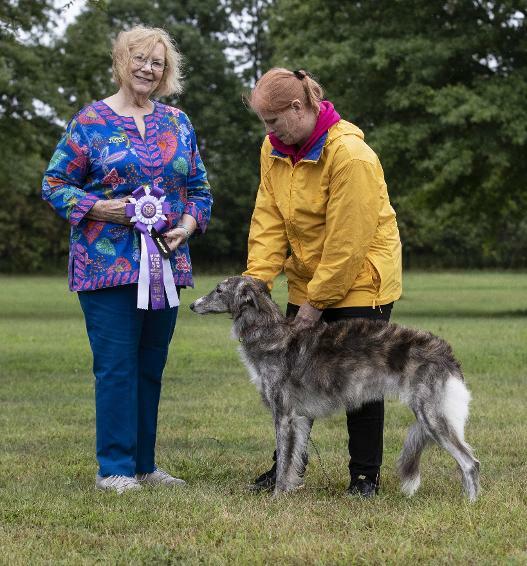 She is presented here by her breeder-co-owner Suzanne Liggett. 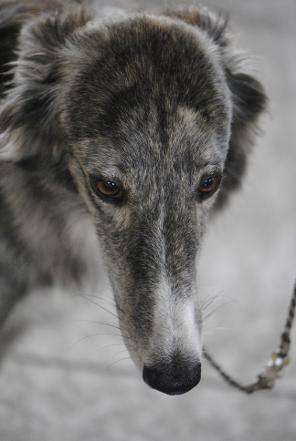 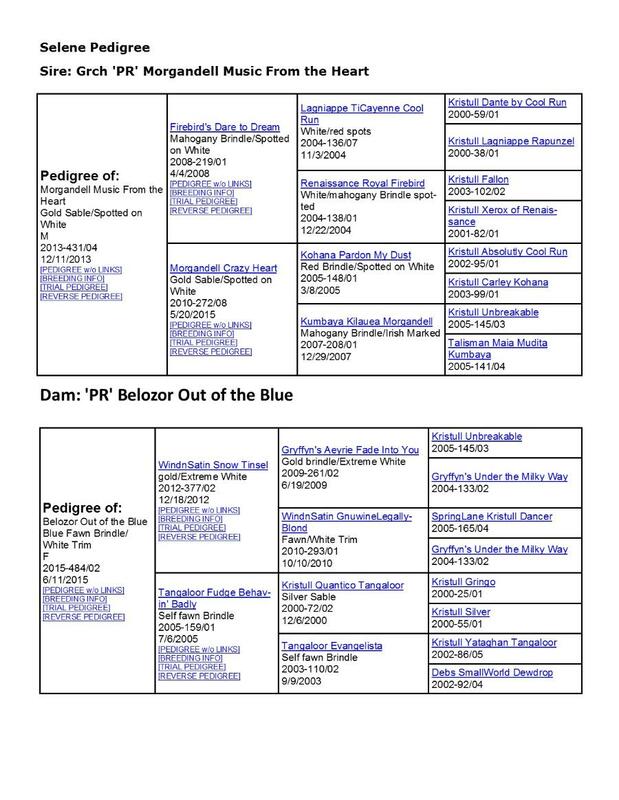 The event was an International Silken windhound (ISWS) specialty. 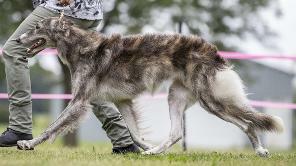 Selene is just shy of 15 months and weighs 40 lbs and is 22 inches at the withers. 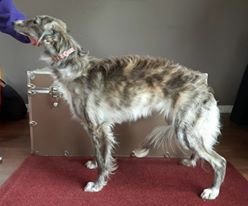 Selene was expertly handled by a wonderful junior handler Desara Jaynes during the UKC show in Napanee, Ontario held by the Maple Leasf Kennel Club. 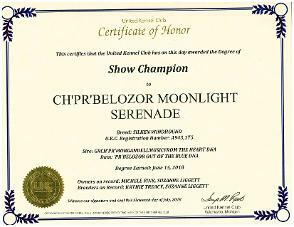 Selene wins Best of Breed and group 3rd on October 7th under judge Debra Florek and Best of Breed and Group 2nd on Octboer 8th under judge Laurie Soutar. 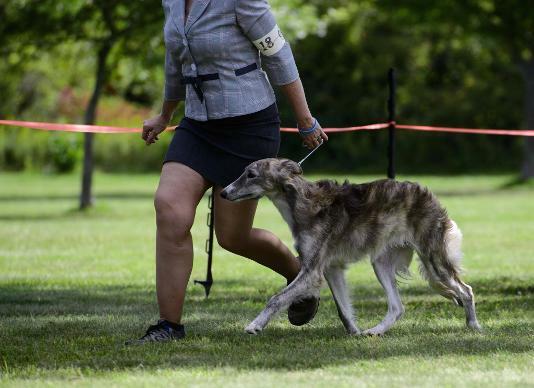 Selene being shown by her co-owner at the 2017 Ohio Classic, International Silken Windhound Society Specialty. 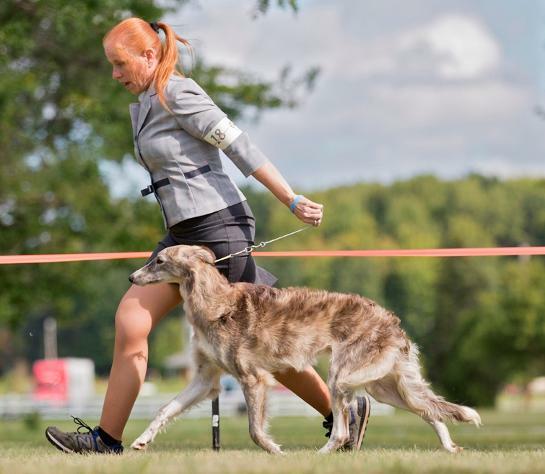 Ohio Classic 2017 - an International Silken Windhound Society sanctioned event.